What Does Climate Change Mean for Our World Heritage Sites? In mid-May, two enormous hands emerged from the Adriatic Sea and wrapped themselves around the foundations of a 14th-century building on one of Venice’s iconic canals. Ghostly white, the hands appeared to prop up a corner of the Ca’ Sagredo Hotel, stopping the pinkish beige building from slipping into the sea. The hands were, of course, not some benevolent monster from the deep, but a sculpture called “Support” by Italian artist Lorenzo Quinn, meant to raise awareness about the threat of climate change to the ancient city, built atop 118 small islands in the 5th century. And Quinn isn’t the only who’s worried about Venice. 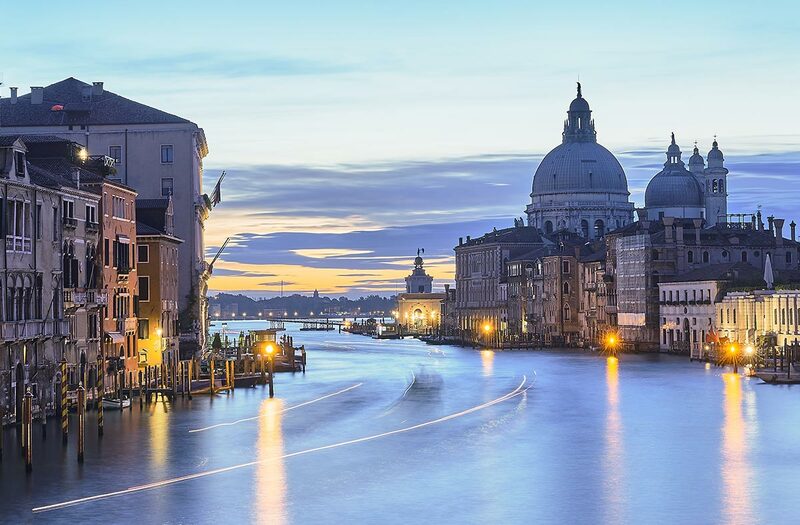 In 2014, the World Monument Fund, a non-profit dedicated to cultural heritage conservation, added Venice to its watch list because of climate change and other environmental risks. Two years later, UNESCO threatened something similar, sending an ultimatum to Venetian politicians that if they didn’t come up with a more comprehensive plan to preserve the city, it would be added to UNESCO’s World Heritage in Danger list, a list of 54 of the worlds most endangered cultural heritage sites. According to Italia Nostra, Italy’s foremost cultural heritage non-profit, concerns about the threat of rising seas “have been met with empty promises but no concrete proposals” from Venetian authorities. This should worry travelers—Venice is not alone as an iconic historic destination that could change, or even disappear, because of climate change. That convention lays out the criteria for how some of the world’s most iconic historic destinations are protected and preserved. As I write this, there are 832 UNESCO World Heritage sites around the world. According to a 2005 study, around 72 percent of these are at risk because of climate change. Venice is just one of 130 sites—like Cartagena in Colombia, the archaeological site of Carthage in Tunisia, India’s famed Elephant Caves, Canada’s notorious shipbuilding town of Lunenberg, and even the Statue of Liberty—facing serious long-term risk because of rising seas. And climate change isn’t only threatening coastal cultural sites. We could lose Stonehenge to extreme weather and flooding; Lebanon’s Holy Valley, Ouadi Qadisha, could see it’s iconic cedar trees disappear; in the United States, wildfires are threatening ancient cave dwellings and artifacts in Colorado’s Mesa Verde National Park. Like so many things related to climate change, the lists of places at risk is seemingly endless. The problem, according to UNESCO, is that while the list is long and growing, the resources for protecting these places, whether through physical adaptation or simply raising the alarm that a cultural heritage site is threatened, are marginal at best. 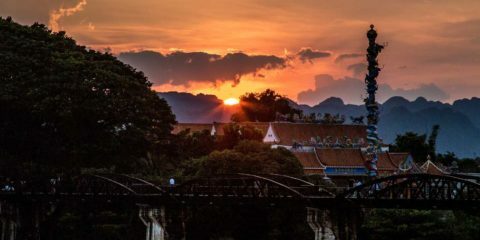 According to the World Heritage and Tourism in a Changing Climate report, the World Heritage Fund—the only global resource that governments can access to support cultural heritage preservation—has only $4 million in its coffers. Compare that to the $100 million the United States has spent restoring and climate-proofing the Statue of Liberty after Hurricane Sandy, and you get a sense of the challenge. What’s more, they argue, most heritage-site management agencies fail to consider climate change in relation to cultural preservation. Changing that is, in part, up to us. Cultural heritage sites are important for two reasons. The first is the somewhat esoteric idea that these sites have intrinsic value—that simply by existing, they enrich our world. I think this is true, but on a more practical level, the fact is that a lot of people just want to visit these places. It’s no coincidence that the Statue of Liberty is garnering $100 million worth of climate protection when it also happens to be among the world’s busiest, most iconic monuments. Reading about Venice, I recalled my own visit to the city, when I spent the last few months of my teens drinking and partying my way across Europe. In total, I spent a little under 24 hours in Venice, during layovers between a train and a ferry on either end of a debauched week on an island off the coast of northern Greece. I barely remember arriving the first time, sleepily making my way to a bus down one of the city’s canals to catch my ferry. On the way back, I was nursing one of the more epic hangovers of my life, and passed the few hours I had sipping coffee with shaking hands, waiting for some semblance of humanity to return to the husk of person that a week of Ouzo shots had transformed me into. It was among the most inconsequential things I jotted down during that entire journey, because at the time, I assumed I could return to Venice at any time; that like any historical destination or cultural landmark, it would remain in place forever, waiting for me to find the time and money to make my way back. Today, I’m not so sure.